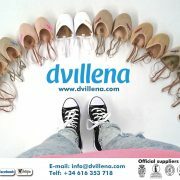 ABOUT THE PRODUCT: Its name means ‘glove’ and that is how they feel on the foot. One of the most comfortable toe-caps you can find in the market keeping quality as a main feature. The favourite one for Varvara Filiou (GRE).